A unique anhydrous moisturizer that melts gently into sensitized skin to help soothe and reinforce the protective barrier. Now formulated with our exclusive UltraCalming Complex. Contains no artificial fragrance or color. 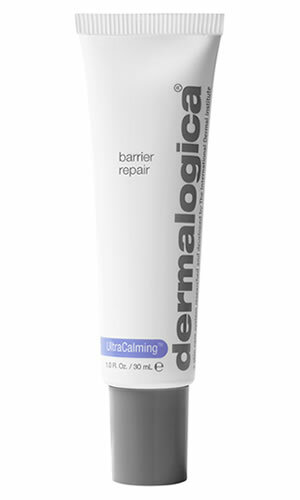 Contains our exclusive UltraCalmingª Complex to help reduce sensitivity, redness, irritation and inflammation. Creates a shield against environmental assault to help prevent further damaging assaults. Vitamins C and E help combat free radicals and stimulate collagen formation. Can provide a smooth, even base, ideal for preparing skin for make-up application. Boerhavia Diffus (Red Hogweed) Root Extract targets neurogenic inflammation, helps restore tissue integrity and soothe skin to normal sensitivity level for immediate and long-lasting effects.